Michael Bisping will be inducted into the UFC Hall of Fame class of 2019 with the ceremony scheduled to take place this July in Las Vegas. Michael Bisping can now ‘count’ himself as a UFC Hall of Famer. On Saturday it was announced that the former UFC middleweight champion and the first real face of British mixed martial arts would be inducted into the UFC Hall of Fame class of 2019. 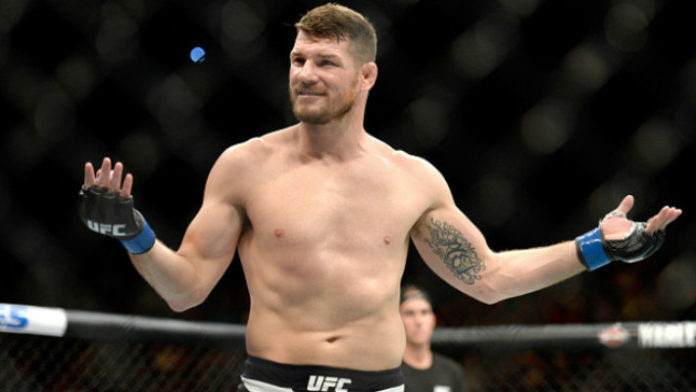 Bisping was not only a pioneer of MMA in his home country of England but was constantly a contender throughout his entire UFC career including the awe-inspiring moment when he accepted a short notice fight against Luke Rockhold at UFC 199 and earned a first round knockout to become middleweight champion. First joining the UFC by way of ‘The Ultimate Fighter’ season 3, Bisping was a mainstay in some of the biggest fights inside the Octagon while facing all challenges at both light heavyweight and middleweight during his career. Known for his ability to out trash talk any opponent outside the cage, Bisping also racked up a slew of wins inside the Octagon over many top fighters from around the world including Anderson Silva, Cung Le, Jason ‘Mayhem” Miller and Dan Henderson. Bisping retired from the sport last year but he’s still a mainstay in the UFC doing commentary as part of the broadcast team as well as analysis in many pre and post fight shows on ESPN. In addition to his commentary work, Bisping also does his podcast called “Believe You Me” and he has landed several acting gigs over the past few years as his career in the UFC came to a close. Now Bisping will join the UFC Hall of Fame class of 2019 as the first official inductee announced ahead of the ceremony during International Fight Week in Las Vegas.